As a marketer, you’re used to leveraging a variety of channels to promote your business, up to and including content marketing. 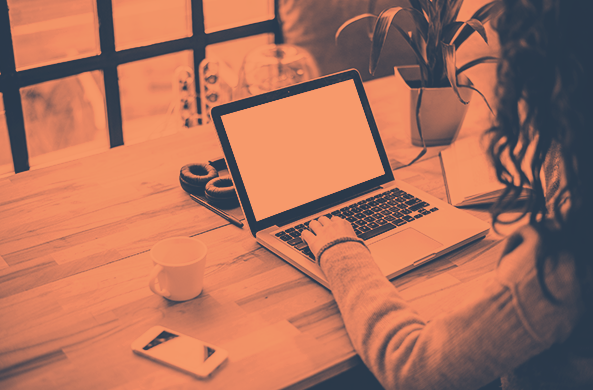 According to HubSpot's annual State of Inbound report, 60% of marketers reported "blog content creation" as one of their top priorities -- with interactive content creation (41%), long-form content creation (33%), and visual content creation (33%) not far behind. Unfortunately, not every piece of content you create is going to be a winner. There are millions of blog posts being published every day, and many of those posts will never see a lick of traffic. Sure, it's discouraging to see content underperform, but the real issue arises when you leave that underperforming content on the table. To prevent that, I'm going to walk you through how to identify, reposition, and optimize that lackluster content to help your business start generating more views and leads. Is the Content Really Failing? Before we dive in, it’s important to first make the distinction between the content that is actually underperforming and the content that hasn’t ramped up or gained traction yet. Vaughan's analysis was intended to determine which of their posts were the most influential in generating leads, and which posts weren’t pulling their weight. 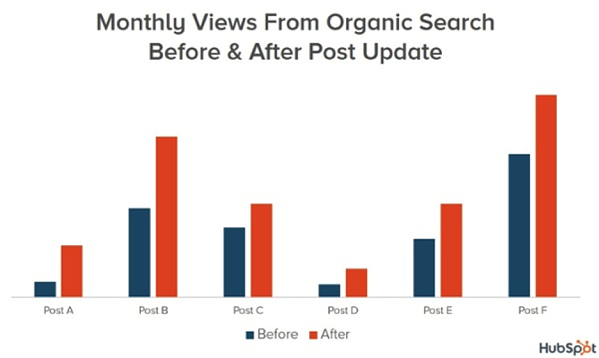 In doing so, she discovered that 76% of HubSpot’s monthly blog views came from old posts (anything published prior to that month), and that 92% of their blog-generated leads came from old posts. The most important point you should take from her study is that it can take time -- sometimes several months -- for content to gain traction. Before you flag content as underperforming, you need to set realistic time scales as part of your strategy, KPIs, and measurement methodology for success. If you already have a fair amount of content, you can use metrics over the life of those content pieces to create performance benchmarks for other current pieces and any new additions. It might seem easy to hit a lot of those points -- and you may feel like your content includes all of these components -- but it’s actually not as easy as it might appear. 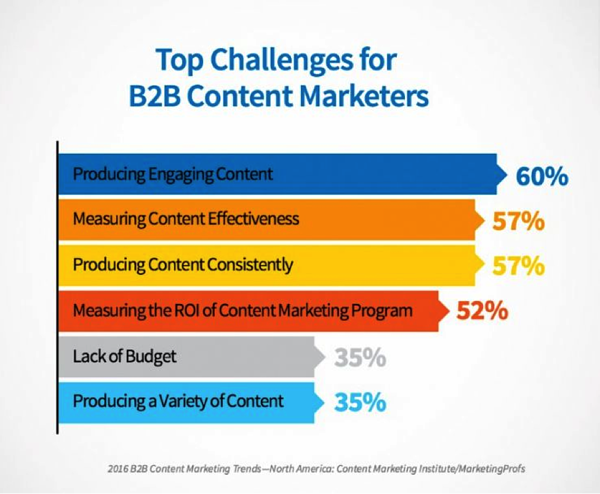 Roughly 60% of marketers still struggle with creating engaging content, even when including many of the components above -- and the problem goes well beyond just the traffic a piece of content is getting. Loss of organic traffic. Sometimes, a post will gain traction -- even a substantial amount -- and then suddenly lose its traffic. This can happen in the wake of social promotion, a loss of referral links on high traffic sites, or a shift in organic search rank. No direct engagement. Even a well-trafficked post could have poor direct engagement. This could point back to an issue with a call-to-action, or perhaps concerns that the content doesn’t match the user’s search intent. No organic traffic. It’s frustrating to publish a post and hear crickets. Organic search can be one of your greatest traffic sources, but not if your content is poorly optimized. Little to no social engagement. Limited shares on social media are a sign that there’s an issue with the content, especially if you’re getting steady traffic to your article or post. Poor post metrics. Another indicator of underperforming content is a low on-page time/session duration per page, with a high-exit or drop-off rate.Ideally you want people to linger, showing that they’re reading a long-form post in full. You also want the reader to visit other pages, as opposed to using that same landing page as an exit page or bouncing from the site without taking other actions. No follow through to content despite social promotion. If you’re seeing a fair number of shares, but you’re not seeing follow through from an extended audience, you may want to consider why the conversion on shares is so low. 1) Improve long-tail keyword use. 2) Optimize headlines to boost CTR. Google uses over 200 ranking factors to rank results based on search query and its perception of user intent. Despite that, clickthrough behavior carries a significant weight in how Google ranks content. Need a second opinion on a headline? Check out Title Tester. This testing tool makes it easy to create headline polls that'll help you decide on the most clickable option. 3) Create compelling meta content. 4) Adjust content to match user intent. You may have hit on a fantastic topic but perhaps the way you addressed it missed some key points, creating a mismatch in content vs. search intent. See if there’s something else the audience is looking for regarding your topic and find ways to adjust your existing content to include new or better targeted information. For example, a reader might not be interested in how to write Instagram captions, but they could be interested in how to earn more followers on Instagram. 5) Add internal links and cross link content. Sometimes, a piece of content doesn’t garner a lot of engagement because it’s all “me, me, me." If you have multiple pieces of content seeing little traffic, try combining them into a more comprehensive piece that packs greater value. Then, redirect links from the most underperforming pieces to the new consolidated piece. 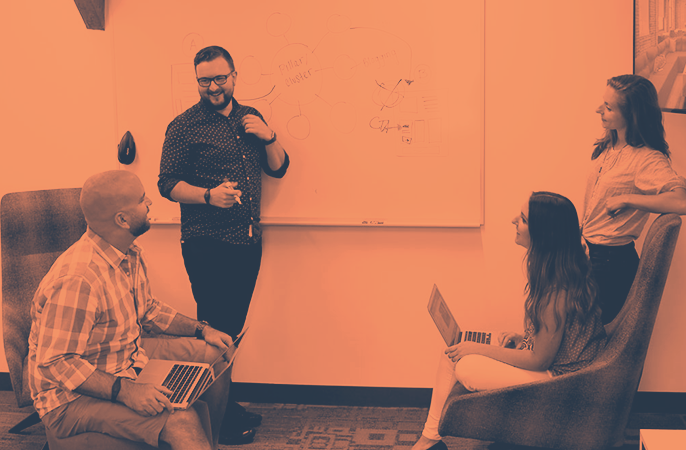 HubSpot's Matt Barby talks about cluster content in a piece for Search Engine Journal that I highly recommend checking out. The idea is that a topic cluster is a collection of semantically relevant content pieces that individually cover smaller themes within an overarching topic. 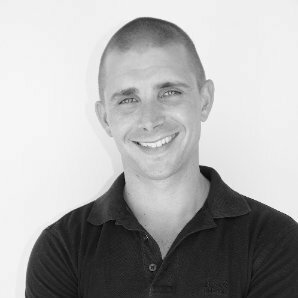 “Any big piece of content that I’m targeting against hyper-competitive search terms will be marked as pillar content. Then a range of content will be created covering subtopics related to the main pillar that internally link to it,” according to Barby. 8) Add visual elements to content. When dealing with low engagement, make sure you’re leveraging visual assets within your content. According to research from Xerox, visuals can increase people’s willingness to read a piece of content by 80%. 9) Include the almighty call-to-action. Ultimately, one of the best ways to deal with underperforming content is to have a strategy that prevents it in the first place. Make sure your content includes all the most important components and create a plan for promotion as part of your strategy. Remember to consider the time it takes for content to gain traction among your audience -- it varies for everyone. Use your past analytics as a model to monitor future content, and be proactive about historical optimization in the future to consistently keep up the engagement and performance of all of your content. How do you correct underperforming content? Share your tips in the comments below.